Hello, first post in this community. Sort of a long story about coming to a point where I just need a break for one year, and what my fellow burners think about it. When they strongly object, how do you react? 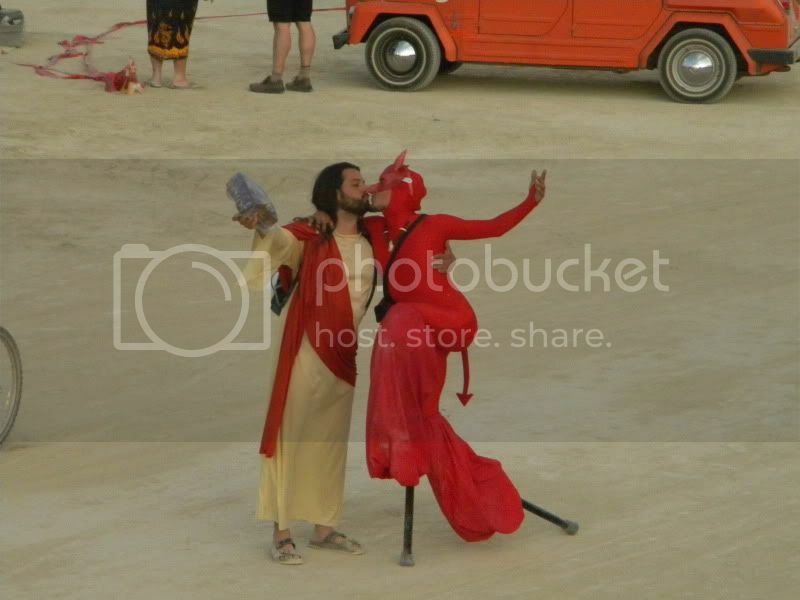 My mother first took me to Burning Man when I was 16 in 2004, I've been a regular ever since. Over the years I've developed a very close friendship with two other burners, whom I both met my first year. The three of us became the base of a camp that grew to almost 20 people and keeps on growing. Within this past year, I've fallen in love and have decided to take a separate trip this summer with this new person to one of their favorite places, somewhere I've never been before. Having gone to Burning Man 6 years in a row now, I feel as though I might finally be at peace with missing one year to do other things. Not to mention I'm a student with a part time job, and can barely afford one trip this summer let alone two. A few months ago, when I introduced this to my two partners in crime, they were very upset. One of them said they already had an extra ticket that I could have, so I reluctantly agreed to change my mind. From then till now, I've been selling on eBay, trying to find paying art jobs, or any odd job really just to keep up with regular expenses whilst trying to save for both trips. Now it's 8 weeks away, and I'm back to ground zero with stupid money management and overdraft fees. Talking to my mother today helped me remember that it's MY own decision whether or not to throw money into something my heart isn't really into right now. So yet again, I've decided not to go. Having e-mailed my two burner buddies about my choice (because I'm too pansy to call), I'm anxiously dreading their reactions yet again. I love them very much, and have only known them to be excellent supportive friends. But after that first conflict over whether or not to go, I've been less inclined to come to them first thing with anything that one might with a good friend. I love that they want me to be there so badly, but it's hurtful that they aren't empathetic or understanding to my needs. I will undoubtedly miss the hugs, the heat, the music, and the company this year. But I need to be away, and sincerely look forward to photos and stories after wards. Might even watch the live feed of the burn online. I wish all of you safety, kindness, popsicles, and whatever else tickles your britches! I'm really just hoping to hear a few kind words from anyone who might understand my plight, or who might just have a kind word to say.